Anyone fancy going halves on this: https://www.tester.co.uk/uni-t-ut521-ea ... und-tester would only get a couple of use's and then could be sold on. Mike, nice meter, I'd be tempted to buy it. But with several earth resistance meters, from an old analogue Chauvin Arnoux, a digital ABB and a very convenient RCD/local loop tester (only a socket needed, no spikes and extra wiring) I have to say, somewhat to my regret, not for me. 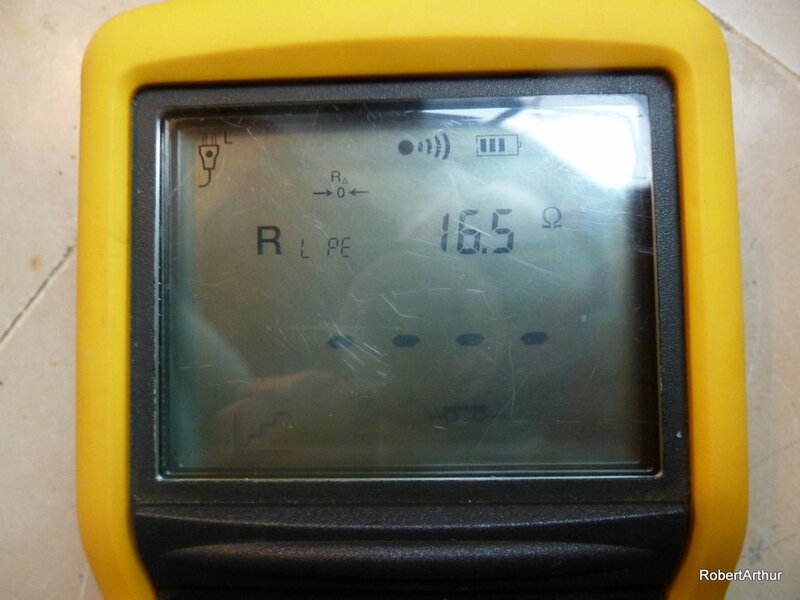 It sure is a complete and modern meter with a micro controller on board and data logging capability, see this manual. With a list price already far below it's Fluke and Chauvin Arnoux siblings a bargain: asking a French electrician to do the measuring would cost much more. Last edited by RobertArthur on Sun Mar 17, 2019 2:08 pm, edited 1 time in total. Thanks for that RA, the reasoning for buying is have been given some very imaginative quotes for the test to be carried out by a couple of local electricians to our place, thought of getting in touch with a few estate agents and asking if they would want to buy it after I have done with it or know someone that would. Mike. I'll go halves after you've used it as long as you tell me how ? It would be an OK buy, at an entry level, but make sure that it also measures the impedance between all earth points if you are planning to use it in France. It is all well and good that you find a sub 100Ω measurement at the incomer, but you must also realise a figure of no more than 2Ω between all earth points within the installation. It can be purchased considerably cheaper, nose around a little more. On my very first Consuel the guy checked the resistance of my piquet de terre, he removed the link on the barette de coupure to do so but just used a hadn instrument with test leads, there were no spikes put in the ground. I was told to connect all the other installations to the same piquet but to keep cable lengths to a minimum all the others share another piquet and barrette, every Consuel inspection that I have had since then the earth test has been done with a plug in instrument, not an RCD tester like I have but seemingly a dedicated earth tester. How does that work without the 3 spikes? - I believe that there is a difference between the UK and French earthing in respect of the transformer connection. I would like to understand the subject because I have one install in the UK that for practical reasons had to be earthed using an earth spike, the RCD tester and the test buttons on all the RCD's work fine but I would like to verify the earth for my own peace of mind, its been 12 years in the ground now. Monsieur le Démerdeur, c'est tres simple, mésurer le boucle locale (local loop). The Megger guys know almost everything about earth loop testing, read all about it. For a better understanding of the French grid once again this picture. 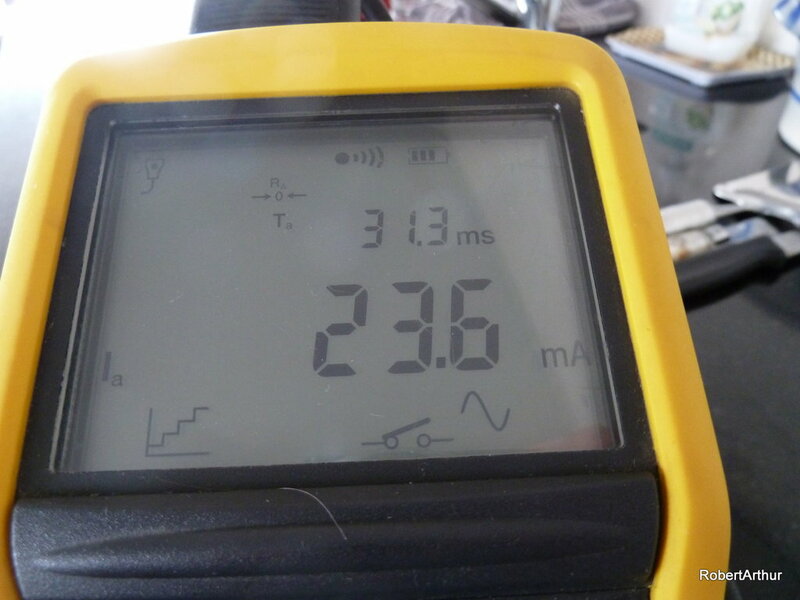 Connecting my Chauvin Arnoux RCD/loop tester directly to a socket and within 45 seconds I got the result without triggering the RCD: house earth resistance + earth resistance of the ENEDIS high voltage transformer (lower than 1 Ohm, negligible). RCD testing also possible with this Chauvin Arnoux meter: reaction time and switch off current. Never seen one cheaper that this, can you post a link? 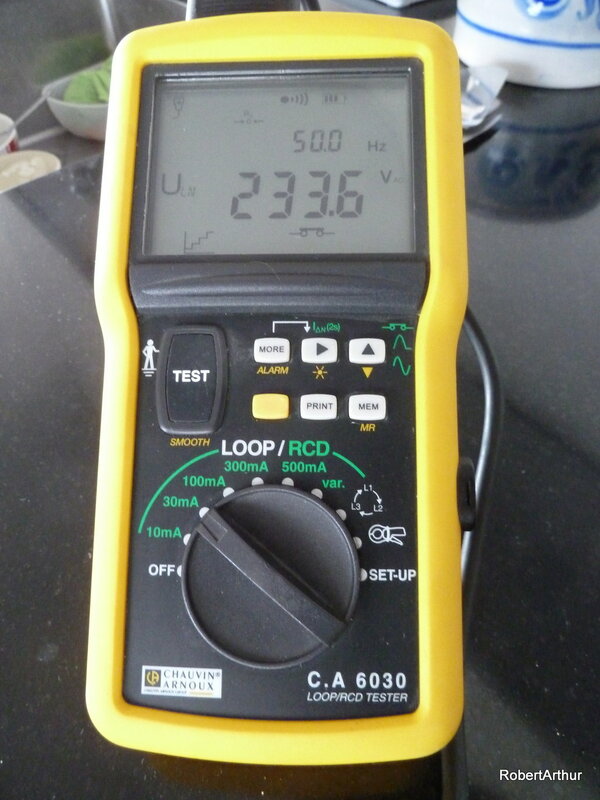 For guys who always are in a hurry, Consuel inspectors, lightweight equipment and simple testing of earth resistance and continuity gets easy with this type of local loop meters. Price tag above 400 €. Pricelevel of the standard earth resistance meters: I had a quick look of what Conrad has to offer, this is probably their cheapest one. Did not search in depth at the websites of our friends Alibaba and Banggood. That looks identical to the one he used Robert. I have placed 3 seperate orders with Ali-Express today, one just a minute ago for a stepper motor for my revesible aircon unit, I had forgotten about Banggood, must compare with them next time.